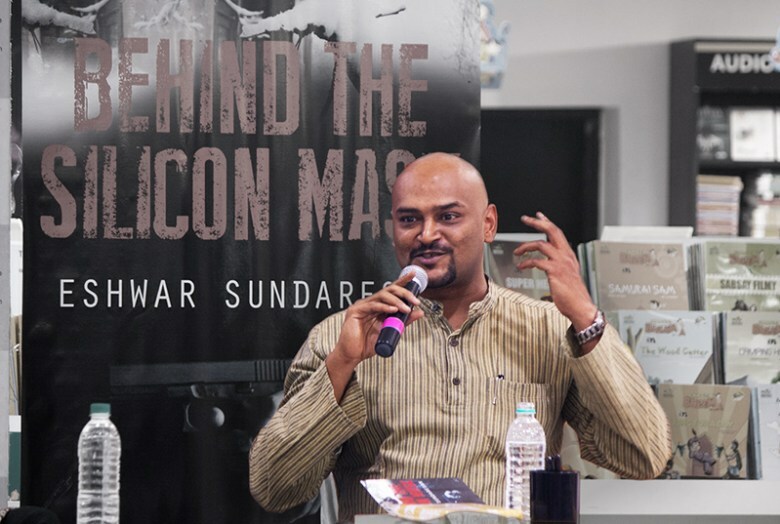 Eshwar Sundaresan is an ex-Infoscion and now a published author, counselor and trainer. Eshwar and I go back a long way–we’ve been friends since the late 90’s, after having met in Infosys. He used to be a man of few words (which I think is still the case), but when it came to his writing, words poured out in abundance and spoke to you with great intensity. His love for writing was evident even in those days–I have seen him rush off to ‘Mangalore Today’ magazine office after a long tiring day’s work at Infosys to work on stories (on pro bono basis). I remember the joy on his face when he sold us a copy of his first, self-published work titled ‘Wiser After’. He later resigned from Infosys to pursue his passion full time. Eshwar has not had it easy. His life highlights the kind of resolve needed to overcome all the challenges that will come one’s way while pursuing one’s passion. Read on–I hope you will enjoy this very interesting conversation with Eshwar. Q: At what point in life did you realize that you wanted to be a writer? ES: I was eight when I serendipitously discovered my desire to write. But it was only during my final days as an engineering student that I started contributing to youth columns in Metropolis on Saturday. Seeing my name in print gave me an unprecedented rush. Adrenalin soon gave way to true love. Over the next few months, I entered into an earnest romantic relationship with writing. Q: You were doing well as an IT professional–doing some good work, travelling around the world and making a decent living. Then you decided to quit so you could dedicate more time to writing. Was it a difficult decision to take? ES: The decision came from a push factor and a pull factor. I was working an average of 65 hours a week in a job that gave me diminishing returns of satisfaction. With each promotion, the job got more clerical and less creative. I had already resolved to quit. It was a matter of when. On the other hand, the idea of writing and living by my own wits was exhilarating. So when my family came on board, I quit. I knew the initial phase would be difficult. I would have to establish my brand, acquire a level of mastery over writing and learn to be my own boss. Did I know that I would miss the money and perks of the IT industry? Well, I still do. But I had one thing going for me. I did not crave material comforts and luxuries. Perhaps it was easier for me to make the transition as opposed to those who experience more intense financial insecurities. I also knew that I would develop other talents to help me sustain my model of living. Today, in addition to being a writer, I counsel and train. These parallel vocations can be synergistic, but the inevitable downside is that my energies get scattered in multiple directions. Q: You went through several personal challenges, rejections and failures during your journey to become as writer (detailed briefly here: https://blogs.authortv.in/that-first-big-break/). That would’ve broken most people. But you kept on writing. Could you–without repeating what was written earlier–talk about the price you think you had to pay for your decision to become a writer? ES: Well, the price was steep and encompasses a very private area of my life. Suffice to say that my most terrible nightmare pales in comparison to what I lost. Given a choice between being a clerk in the IT industry and paying this price, I would choose the former. But that’s coming from hindsight, which is the most ironical form of wisdom. I’d rather deal with the reality of my life. Which I do one day at a time. Perhaps the lesson that other aspiring writers can learn from my story is that this is a demanding vocation. Financial success is elusive for most. So should they become writers at all? I’d tell them: don’t become a writer just because you can write. Become a writer if you cannot NOT write. Q: What is your typical ‘writing day’ like–do you have any specific routine that you follow while writing? ES: I’m a night owl. My keyboard comes alive in the night. So if I’m working on a book, I wake up late and take my time getting into my groove. This works for me. Each writer will have to figure out their own routine. Some well-known writers finish their day’s quota of writing by 9am. I wish I fell into that category, but I am what I am. Every writer will also have to figure out their rewriting and research methodologies. Q: Tell me about some of the interesting encounters you’ve had with other humans where you were extremely moved/impacted? ES: K Balagopal, the late Human Rights activist left an indelible impression upon me. I have written about him here. He’s the foremost intellectual thinker, and one of the most compassionate and honest persons, I’ve ever met. As a counselor, I’m also a privileged witness to many transformational stories. I sit across from people who, despite suffering great hardships, make the choice to bounce back without losing their humanity. Every person I’ve counseled has enriched me. Therapist-patient confidentiality prevents me from giving more specific information. In this context, I’d like to mention Dr. Ali Khwaja, the founder of the Banjara Academy, who equipped me with the skills required to be a counselor. Q: I’ve heard that writers write better when they are experiencing deep emotions. Is there any truth in this? ES: When a writer connects with herself, her writing connects with the world. So, yes, emotions are integral to writing. While writing a scene, the writer must be able to visualize (use her imagination) and also empathize (attempt to feel what all the characters therein are feeling). Cathartic, self-expressive writing requires the writer to be wearing her emotions on her sleeve. In other cases, the writer must recreate the emotions aligned with a particular moment. Q: As a struggling writer, you have done several odd jobs. What distilled tips could you give someone about finding (writing) work to keep her afloat while working on her novel? ES: Don’t look down upon any form of writing. You can learn while writing ad copy, a white paper, a novel and just about anything else. End of the day, you are telling a story and that story must connect. So if you open your mind, you will find various interesting projects that will keep you afloat and engaged with the world. I have used the lull in my own writing to ghostwrite on behalf of interesting people. Q: Any tips on networking in the literary field–how does one get to the magazine editors (for publishing essays) and publishers (for the longer forms)? ES: Hmm. Not the right person to be answering this question since I am not good in networking myself. But I can offer the basics. Keep in touch, keep pitching, continue to create a body of work. Also, be aware of your marketing channels and target audience. The publisher will be pleased that you have a marketing plan. Networking matters a lot in the publishing industry. You need one agent or publisher to believe in you. Till that happens, the going is tough. Q: Now here’s one that isn’t talked about openly much: can you give us some idea about how an author gets paid–some indicative royalty figures a beginner could expect, and how it increases? ES: The royalty is the same for everybody. 7.5% for paperback and 10% for hard cover. The advance amount paid in lieu of royalty varies. Getting a fat advance ensures that the publisher puts more marketing muscle behind the book. That can make the difference between a book that sinks without a trace and a book that rises to the bestseller list. Nowadays, the base contract offers INR 60,000 as an advance. On the other end of the spectrum, a writer can get upwards of a crore. Q: A few other writers and you organized a writing workshop titled ‘Bangalore’s World-Famous Semi-Deluxe Writing Program’. That title is brilliant in many ways. Who came up with that title? How was the response to the first edition? Is it going to be an annual feature? ES: I think the germ of the idea came from Zac O’Yeah. The title was determined over beers shared by Zac, Anjum Hasan and myself. In India, the term semi-deluxe is associated with outstation travel by bus. You don’t get 100% comfort, but you can get into a reclining position and stretch your legs. We felt this was a good metaphor for a writing program that will offer a lot of tools and insights into writing, but will demand that the participant be alert and put in the hard miles. The first part of the title “Bangalore’s World-famous” is, of course, a tongue-in-cheek reference to an Indianism. We are so enthused by the responses that we are planning to launch the next edition in early 2018. There is plenty of talent out there and we aspire to become an institution that grooms the next generation of great Indian writers. Q: Name some of your favourite authors, and books? ES: The moon and sixpence, One hundred years of solitude, My name is Red, Vineland, The art of thinking clearly, A confederacy of dunces, A fine balance, The god of small things…I can go on. Q: What are your upcoming books? ES: Two of them: a murder mystery that will be solved by a rebellious counselor using counseling techniques. And a nonfiction book titled A handbook for the Indian freelancer. I hope you enjoyed this conversation. 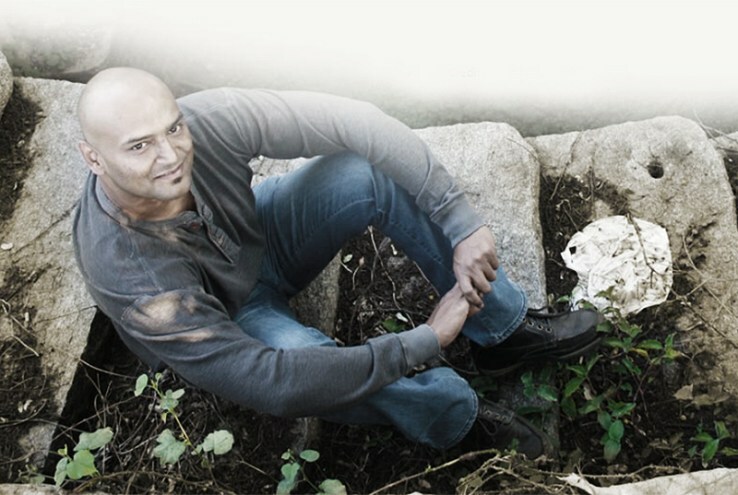 To know more about Eshwar, please visit his website: http://eshwarsundaresan.com/.